NEED HELP WITH PRODUCING MUSIC? 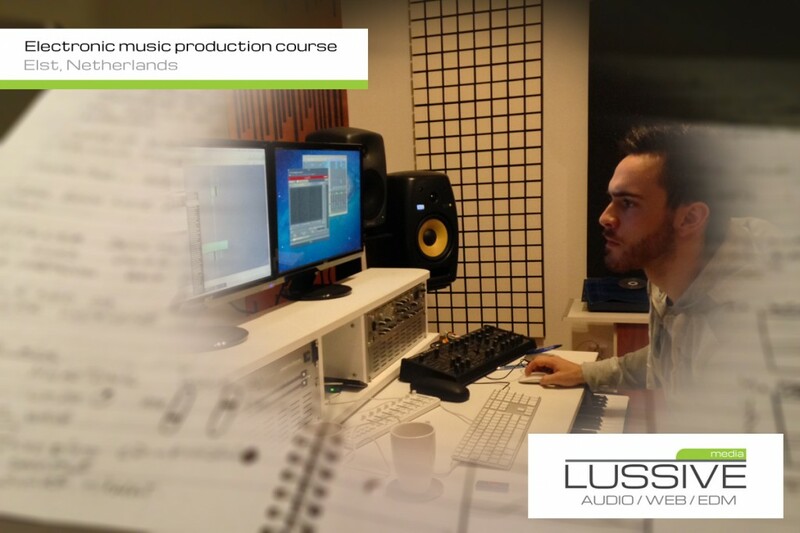 Join us in our interactive music production workshop. We start, where your music knowledge ends. 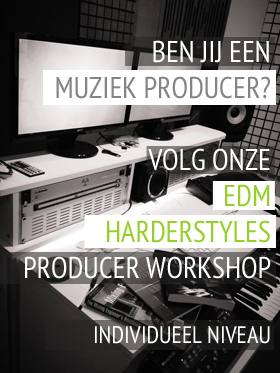 Our workshops are run by Onne Witjes, who has an active DJ / Producer career in the Hardstyle genre (A-lusion). He has been performing around the globe on festivals like Qlimax, Defqon, EDC Las Vegas and HardBass. 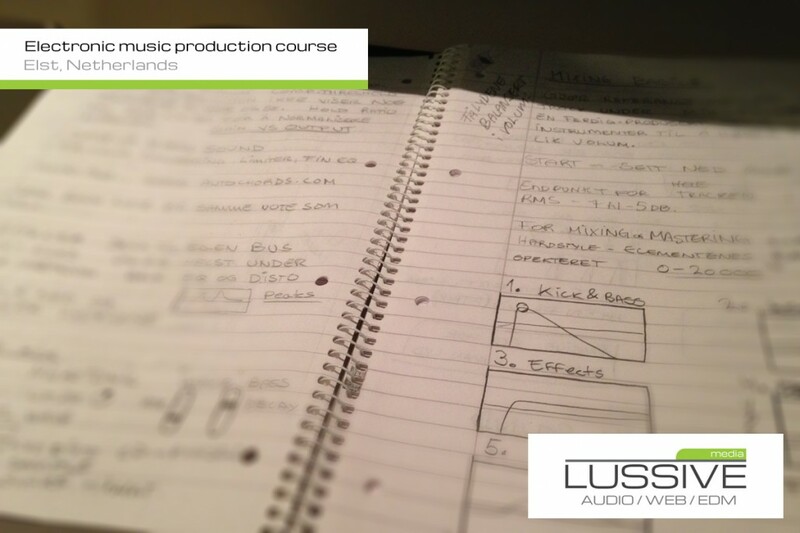 A producing session can be followed booked for 4 or 8 hours a day, in which both theory and practice are covered. Because courses are provided individually, the subjects and level of detail can be adjusted according to the skills and experience of the student. Signing up with multiple people for multiple days is also possible. So far, Lussive Media had international students over from Canada, Germany, Switzerland, Austria, Norway, Scotland, Mexico, Sweden, Spain, Singapore, Australia, France, Belgium, Denmark and England. 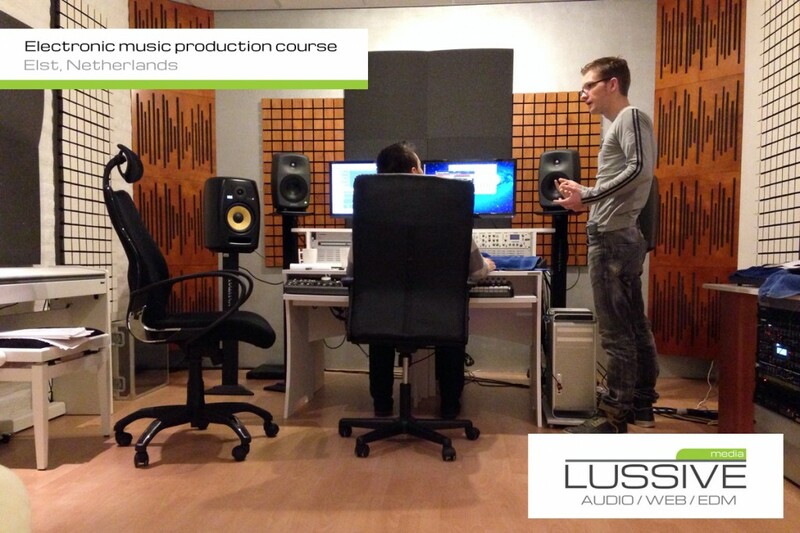 The course is held in the studio of Lussive Media in Elst. Do you want to know what other people thought of their experience? Check out the testimonial page. Read on for more information on flights, hotel accommodations and other travel options. Learn all about: Audio, Midi, Frequencies, Hertz, Waveforms, Effects, Chord structure, Musical theory, etc. What is the difference between an insert and send effect? 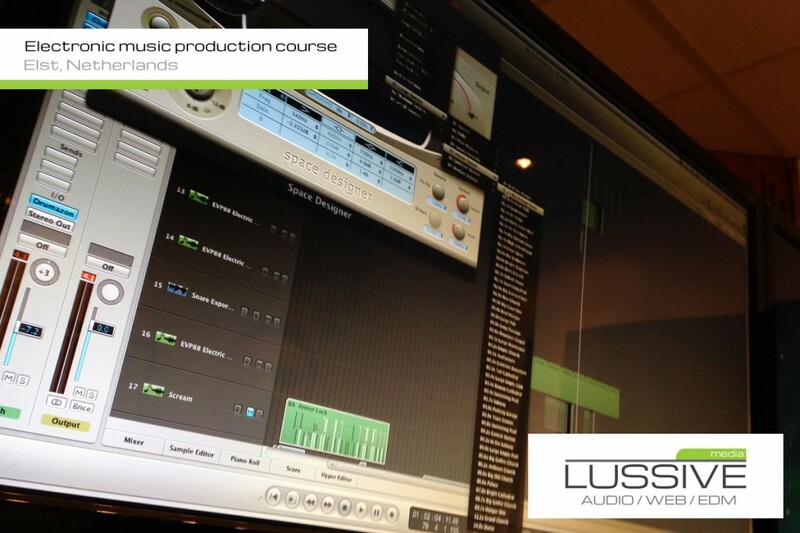 Learn to work with the latest versions of software such as: Cubase, Studio One, Ableton, Logic, Wavelab and Reason. Do you already work with some of the software listed above? We might have some great extra tips and tricks for you, which make you an even more experienced and advanced user. Learn how to analyze sounds and re-create them with VSTi’s / Audio Units or learn how to use specific plugin interfaces. A few of the possible plugins to be discussed are: Native Instruments, FabFilter, Rob Papen, Sylenth1, Virus Ti, Nexus, UAD, East West, etc. Learn for example how to make a hardstyle kick, a house / electro filter sweep or a trance pad. Being able to create a good mixdown or powerful master is very important. This can also be explained during the production course. Bring one of your existing projects in for example Logic, Cubase or Studio One. We’ll discuss your project together to see if you can work more advanced way. Working more efficiently can help you maximize the use of your creativity. You can also bring your own laptop, to fully work in your own software environment. Our studio is located in Elst (The Netherlands), between Arnhem and Nijmegen. The studio can be reached by car (free parking) or train (station Elst). Our studio is equipped with various hardware synths and the latest software. Besides this, the studio has been acoustically improved for a neutral sound perception. In order to reach the Lussive Media studio destination, you can either fly on Amsterdam Schiphol or Eindhoven Airport. From there you need to travel around 1.5 hours to Elst by train. Check NS (EN) for information and prices. We will pick you up from the train station and bring you to one of the following possible nearby hotels. Prices vary from 50 euro to 70 euro per night.